The rise of Asia is one of the most profound forces shaping the contemporary world, influencing our lives in countless ways. By 2030 Asia will be home to 4.5 billion people, representing between 45 and 50 per cent of the world’s GDP and an estimated 66 per cent of its middle class. It is projected that by 2020 the combined wealth of high-net-worth individuals in China alone will be US$8.2 trillion. Capitalizing on this new Asia opportunity will require broad and co-ordinated action. While our exports to the Asia Pacific nearly doubled from C$27 billion in 2005 to C$53 billion in 2015, Canada’s market share in key Asian economies has remained at one per cent over the same time frame. Australia and other countries have fared far better. Are Canadians well prepared for a new, increasingly Asia-centred world? Do Canadians possess the ‘Asia competence’ – the grounding and capability in Asian cultures, histories, languages and business practices – to effectively engage with Asian partners, to broaden our business relationships in the region and ultimately grow prosperity in Canada? Focused, strategic, and intelligent investments are required to do so. And the time to act is now. 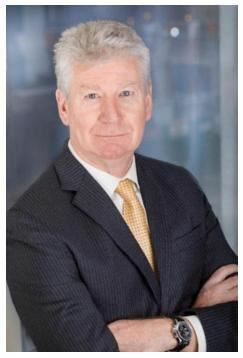 Our luncheon speaker, Stewart Beck, is the President and CEO of the Asia Pacific Foundation of Canada (APF Canada), a Vancouver-headquartered not-for-profit organization focused on Canada’s relations with Asia. Established by an Act of Parliament in 1984, APF Canada is a leader in research and analysis on Canada-Asia relations, partnering with government, business leaders, academics, and opinion makers in Canada and across the Asia Pacific to offer clear, specific, and actionable policy advice. During his foreign service career prior to joining APF Canada, Mr. Beck served as Canadian High Commissioner to the Republic of India, and as consul general in Shanghai and San Francisco. In addition, he held several senior positions in Ottawa and served in Taiwan and China earlier in his career.